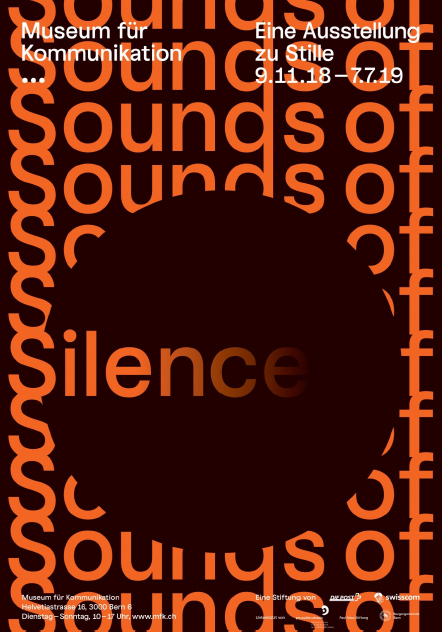 The stylish poster immediately catches the eye: Orange block letters on a black background advertise “Sounds of Silence”. It looks like an announcement for a pop concert from the days when pop music was still young and Simon & Garfunkel released their classic hit song of the same name. But no, this isn’t about music but rather a special exhibition at the Museum of Communication in Bern. What exactly are these sounds of silence, and how can they constitute an exhibition? The oxymoron in the title is effective – our curiosity is aroused. To be on the safe side, we take a quick look at the Museum’s home page to see what is in store for us. Among other things, it mentions that the Museum of Communication was awarded the Council of Europe Museum Prize for 2019. According to the jury’s assessment, it is a “very interactive, multisensory, participatory, accessible, playful, open and democratic museum”. It also takes up “emerging issues related to present day communication”, such as “the value of truth, the impact of lying, privacy, hacking secrets”, and so on. 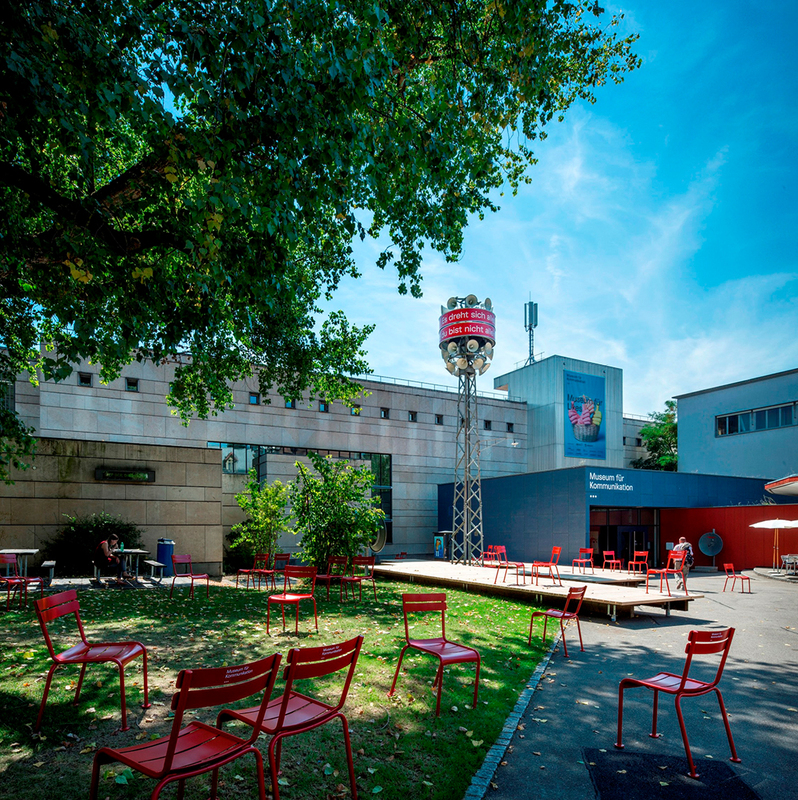 The Museum of Communication in Bern’s museum district. They must have really gone to great lengths in Bern, because a museum that obviously does so much so well does not just come about by accident. But regular museum visitors have long known: The building near Helvitaplatz has been exploring unusual concepts for some time now and has recently refurbished its permanent exhibition. We take a quick look inside. The new permanent exhibition is indeed very attractive and, notably, very interactively laid out. To fully explore the exhibition, we would need more time. Instead, we focus on “Sounds of Silence”. At the outset we are given headphones. The audio guide that one would normally expect is missing. We are already at the heart of the matter: Why do we need headphones? Are they meant to transmit noises and tones or protect us from them? After all, headphones that shield us from noises in our environment – or, even better, mask them – are essential for construction workers, commuters and employees in open-plan offices. Heading up the ramp into the exhibition, the function of the headphones becomes clear: We are plunged into a listening landscape where we will stay for the next hour. And this is where our dilemma begins. Reviewing the “Sounds of Silence” exhibition is a bit like reviewing a crime novel: revealing too much would spoil the fun. However, we can tell you this much: If you are expecting a traditional exhibition with objects on display, you will be disappointed. 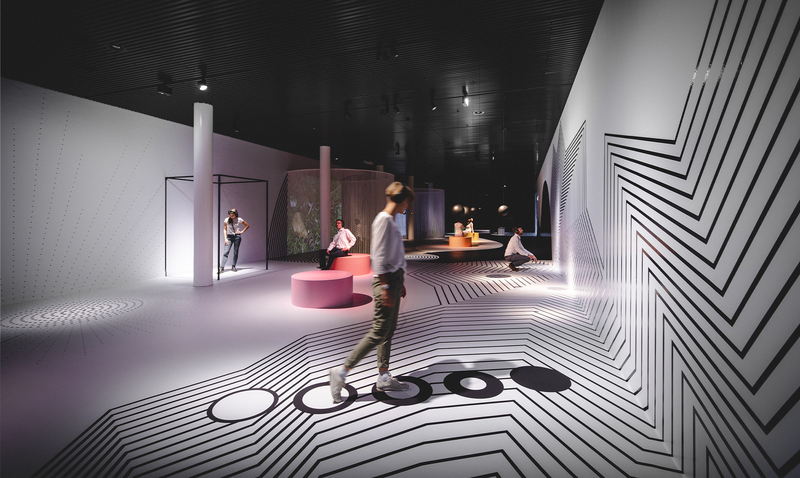 Instead, you will find yourself in a landscape of experience and discovery, an open space divided into island-like stations made up of design elements. It’s like moving within a 3-D musical score. Since the headphones are wireless, visitors are in control of the duration and intensity of their listening experience. Bit by bit, we are physically and directly confronted with everything that “silence” is generally associated with. Certainly it is associated with the widespread desire for quiet in a world that is constantly beeping, squeaking, ringing and jingling. But it can also be a rather perfidious form of torture. What does a snowstorm sound like? In the soundproof space, the normally unnoticed manifestations of our insides take on eerie dimensions. This will turn almost anyone into a hypochondriac. Is my heart pounding too loud, what’s that weird bubbling noise, is my pulse racing? Anyone who has ever used earplugs in a mountain hut to shut out their roommates’ snoring knows the terror of their own inner working system, which can be worse than a dripping gutter. Poetry extols the “silence” of nature. Over all the hilltops is quiet now, it is said. But this, too, has a darker side. This is demonstrated in the section of “Sounds of Silence” where we are confronted with an account of a “desert island” experience. This is generally considered the ultimate paradise. However, the hermitage experience, which is often eagerly sought out by stress-ridden contemporaries, is, shall we say, anything but relaxing – similar to being in the soundproof room. What was that crackling sound, and did I just hear footsteps? We are amazed to hear that solitary silence can even lead to a kind of physical and emotional breakdown. The lack of human speech or language while simultaneously focussing on the tiniest sounds leads to strange fixations and an unpleasant loss of orientation. We learn: Silence is an abyss. John Cage’s composition 4’22, in one of its infinite variations, appears to be somewhat more light-hearted, at least on the surface. The chief idea behind the piece is to turn silence into a (random) composition: For the duration of the composition, the silence is filled with the expectation of a piece of music that one never gets to hear – or perhaps one does. It consists of all the random noises at the performance venue. The coughing or shushing of the audience, a programme falling to the floor, a helicopter flying over the concert hall – everything that we otherwise normally block out is interpreted as music by the composer. On longer reflection, what at first seems like a simple gag is a fascinating philosophical experiment on music and noise, but also silence and music. It is easy to draw a link between Cage and the Zen meditations of Niklaus Brantschen, the famous Jesuit priest. 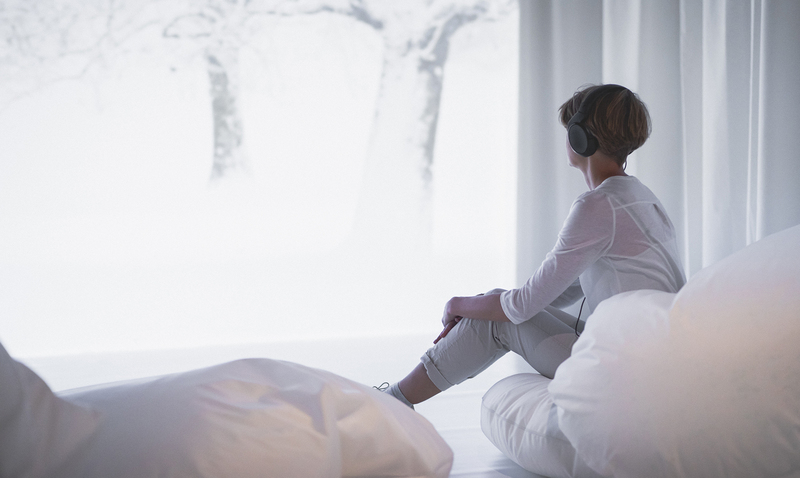 In the last room, he appears in a video meditation to invite anyone who wants to try to explore their own breathing rhythm as the basis for the one true, inner silence. One inevitably begins to wonder whether silence is nothing more than psychology and clever self-manipulation and why we even need a Noise Abatement Ordinance at all. 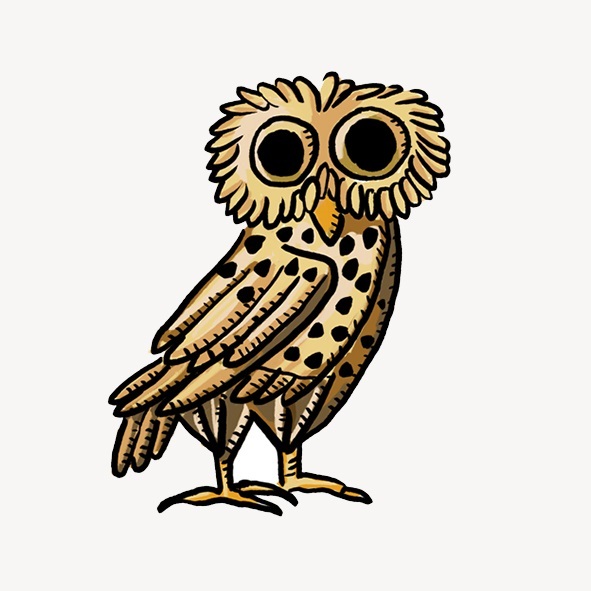 A link to this can be found on the exhibition’s home page, along with a fantastic literary anthology on silence, with texts ranging from Homer to dialect poet Dominic Oppliger, some of which are featured in the exhibition circuit. But once you have experienced “Sounds of Silence”, you will have realized that the benefits of both ordinances and earplugs are relative. Because the most important takeaway is that silence is so much more than just a low decibel number.